A well-constructed crack-free driveway with a finish to complement your home makes your property look great, right from the first impression. Concrete driveways – with our range of colours, we provide you with better options for the driveway you want. Concrete footpaths – we construct differently finished concrete footpaths to give your home personality and character. Concrete pads/slabs – we create concrete pads and slabs in whatever size you require. 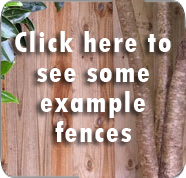 Carports and garages – come to Auckland Fences for the perfect garage or carport. We give home and commercial space owners the ability to be creative with their concreted areas. There are many different options to achieve the look you desire – standard brush finish, colours, exposed aggregate, chip size and more. Preparation – The earthworks, and sub surface need to be solid and correct to support your finished product. Reinforcing steel – We will discuss your needs with you and recommend the necessary depth of concrete, plus whether strengthening mesh will be required, and if so – what type. 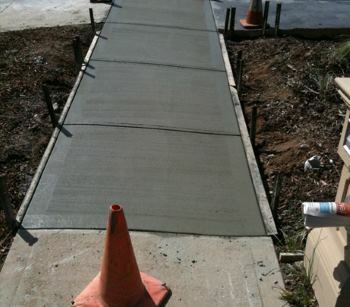 Our concrete contractors have years of experience in the industry – the end result is well constructed concrete areas. Great workmanship – We have worked in the industry and aim to take away your stresses by working with good, experienced and competent people. Easily incorporate any of our other services within your project – earthworks, retaining walls, landscaping We are your one-stop-shop! From your first enquiry, you will receive a structured quote covering the scope of works we have understood. We will use our expert knowledge to help you design the best driveways, footpaths and concrete areas. Our friendly staff will be there to assist you with any query before or after contracting our services. In addition, we will ensure that your new concrete driveway meets council regulations and has a PS3 supplier’s sign-off if it is needed by the council. We cover all of Auckland, including the North Shore, West Auckland, Waitakere and South Auckland. Choose us for a beautiful driveway!